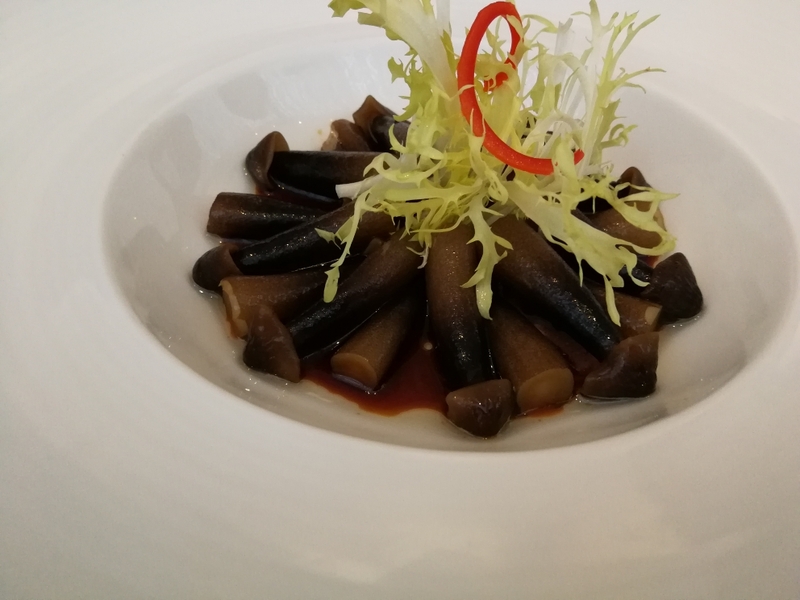 As promised, I’m back with a very special restaurant review. My parents made reservations at Tang Court to celebrate the new opportunities I’ve been given. 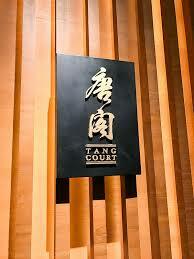 Tang Court is a fine dining Cantonese restaurant on the 5th floor of the Langman hotel in Xintiandi. What makes it so special? This. 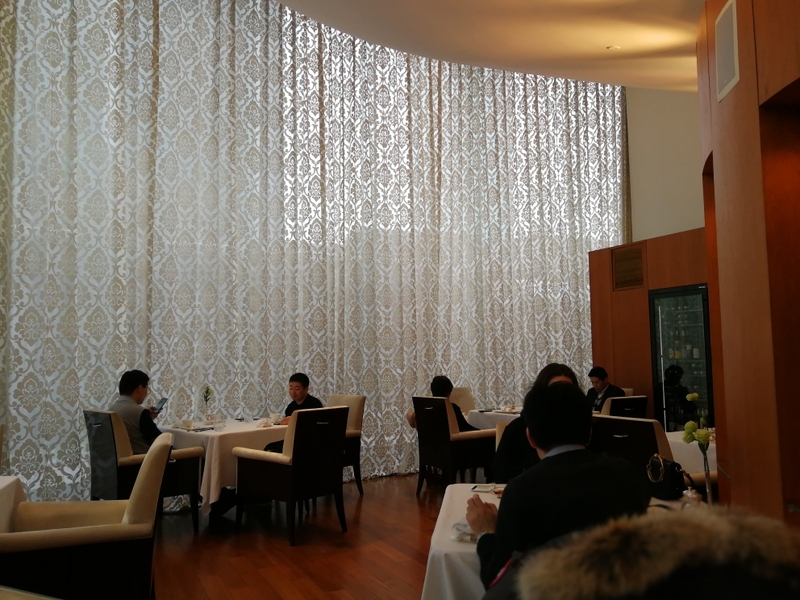 For two years, it’s held the honor of China’s first 3 starred restaurant. 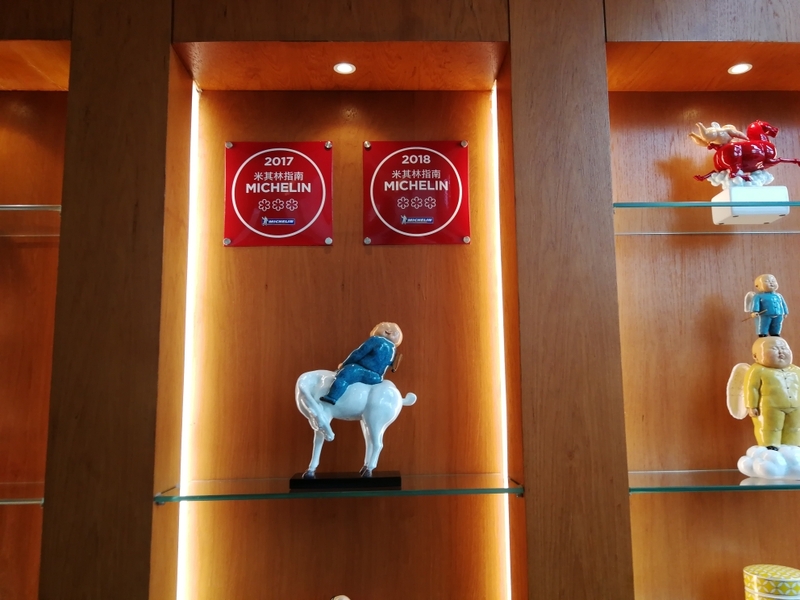 Unfortunately, it was most recently demoted in favor of Ultraviolet (coming in the very distant future), but the fact it held the title – for two years!- makes it the first three starred restaurant I’ve gone too. I honestly can’t believe my parents agreed to treat me to this. Needless to say, expectations were through the roof. Let’s eat! 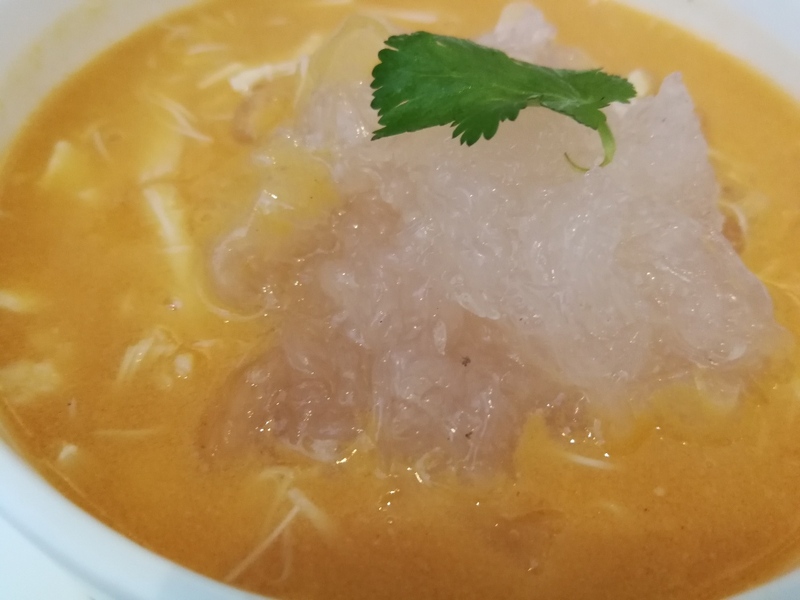 Special Fish Maw Soup with Meat Floss- My mom loves a great soup and of the 7 options, she chose this one. Good choice to say the least. 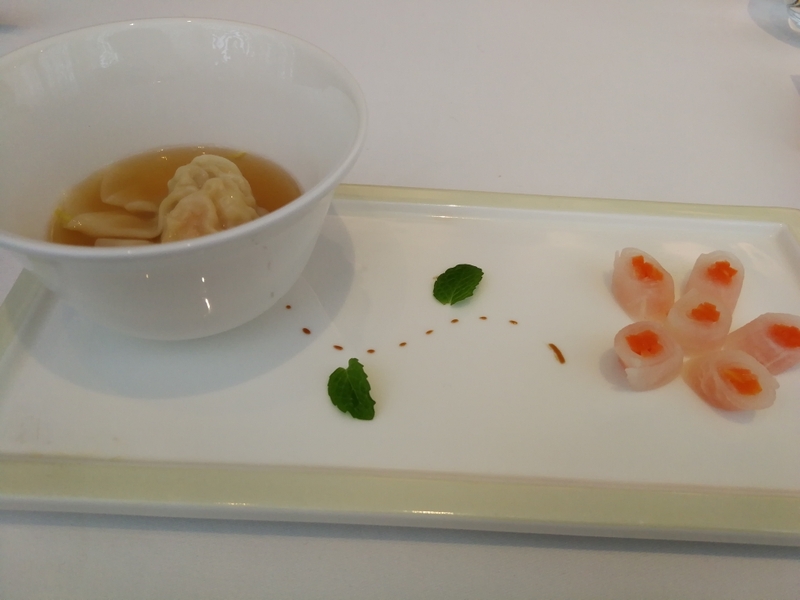 While it doesn’t look the most appetizing, this dish was nothing short of an umami bomb featuring a delicate seafood flavor enhanced by a rich porky flavor . 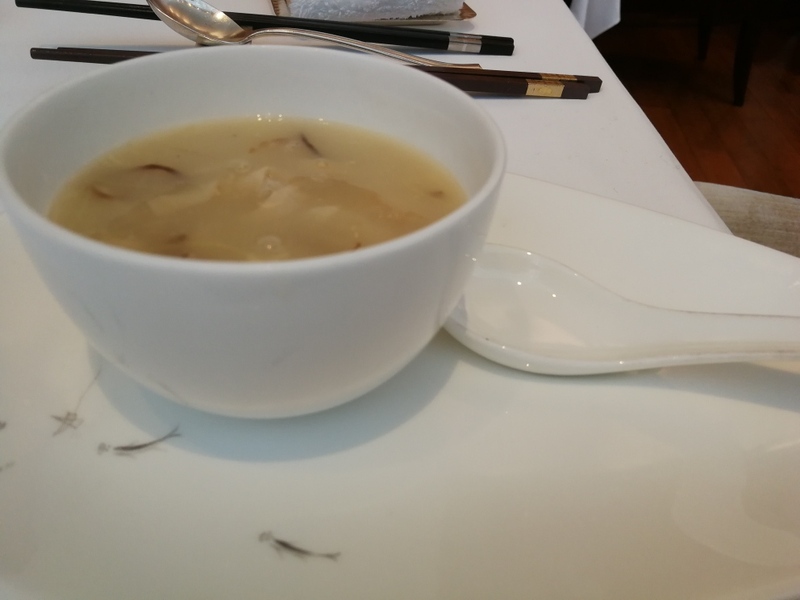 Fish maw itself had no flavor but adds collagen, thickening the soup. The strips also added a poppy textural element. 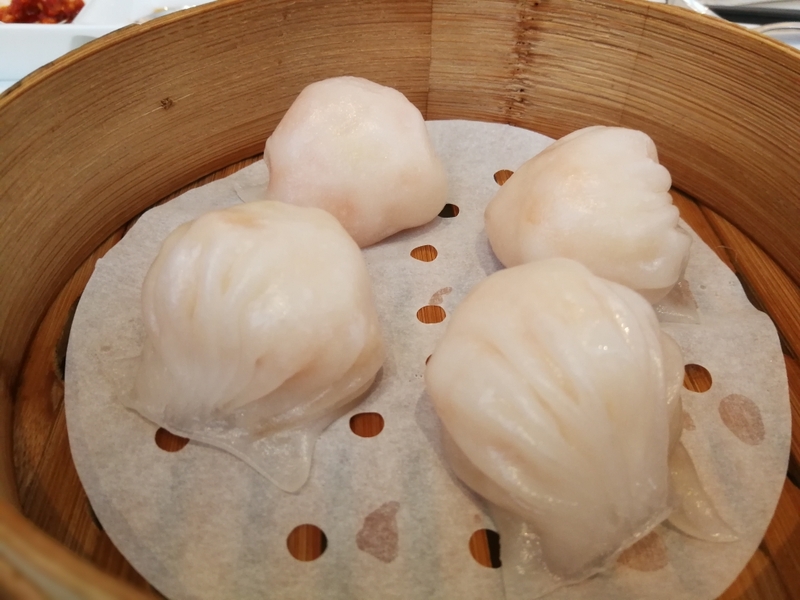 Har Gao- Shrimp dumplings are a dim sum must order, and Tang Court’s certainly didn’t disappoint. Needless to say, the shrimp was more than fresh. The skin was the shocker. It was glutinous and chewy but snappy. More impressively, it had the fragrance of fresh rice and was probably made minutes before steaming. With that said, I with there was some bamboo shoot or water chestnut to add a textural element. 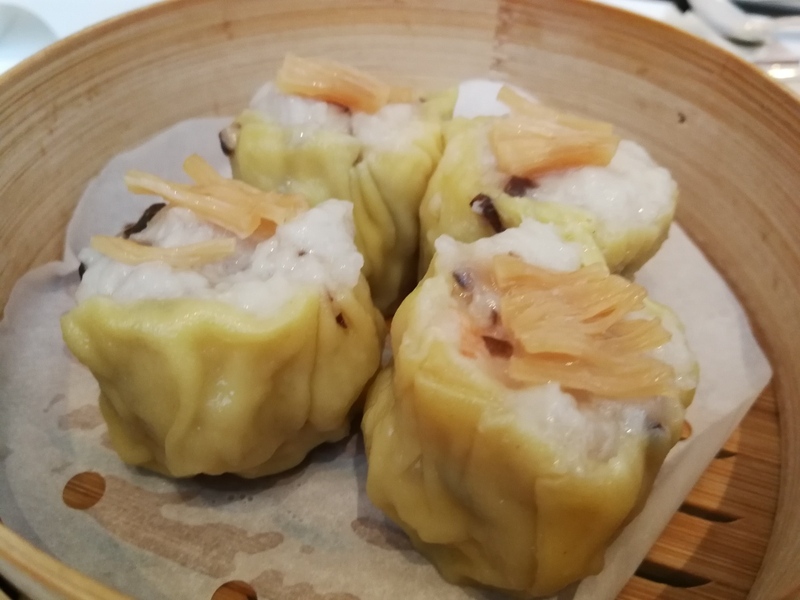 Shrimp Siu Mai- Siu Mai is a true test of dim sum quality and Tang Court passed with flying colours. The filling struck the perfect balance between the fresh umami of the shrimp and the richness of the pork mince. 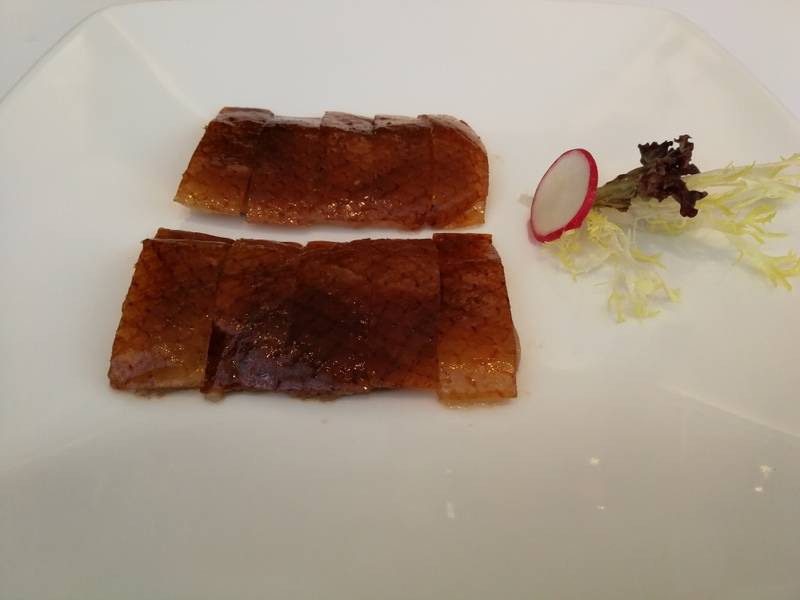 To top everything off were delicate slices of fragrant abalone. 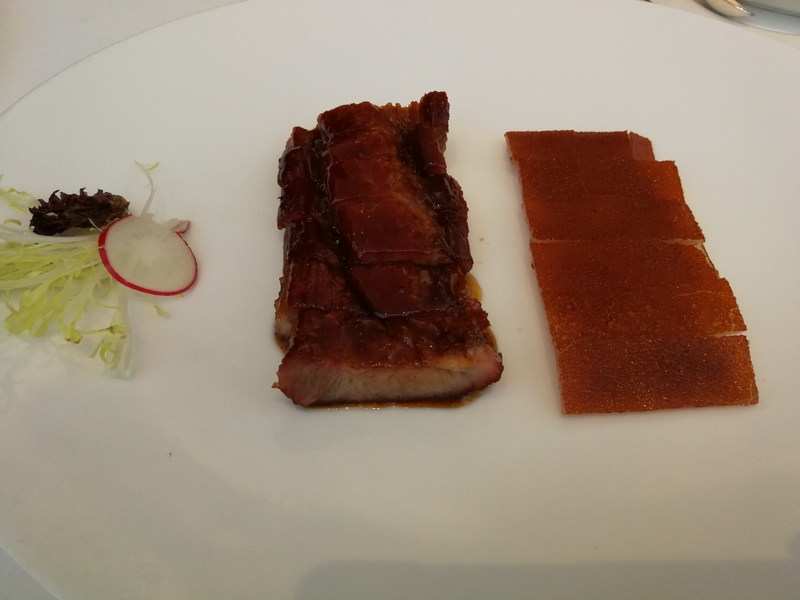 Like the Har Gao, the most impressive aspect was the skin. Thin yet elastic and miles above the soggy, sticky, greasy varieties so common to mediocre restaurants. Roast Goose- While the char siu and suckling pig were phenomenal, the goose was quite a disappointment. To start, the skin was quite hard, but not crispy. In addition, the fat wasn’t properly rendered so each bite overwhelmed the palate with a burst of unflavored grease. Even worse, the meat was tough and overly gamey. 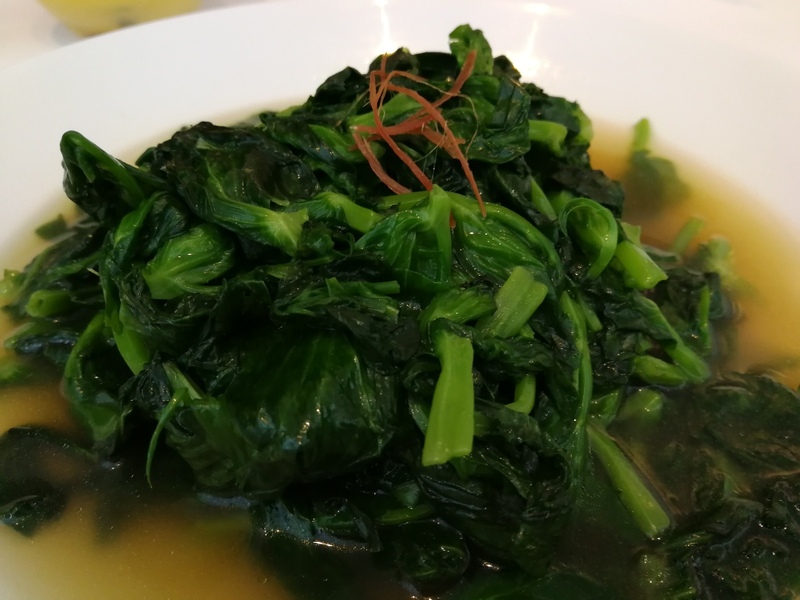 Water Spinach in Soup- Normally, veggie dishes aren’t anything worth mentioning, but this dish stands out. The spinach itself had a fresh earthiness that cut the indulgent richness of the roasts. The ham broth brought a powerful deep punch of flavour that mellowed out the natural bitterness. While I thoroughly enjoyed this dish, my mom did not particularly like the strong flavour and found the leaves tough. Overall, Tang Cours was an amazing experience to say the least, but I don’t think I’ll be back in a very long while. It didn’t feel worth the cost, in terms of money or time spent waiting awkwardly for dishes to arrive.